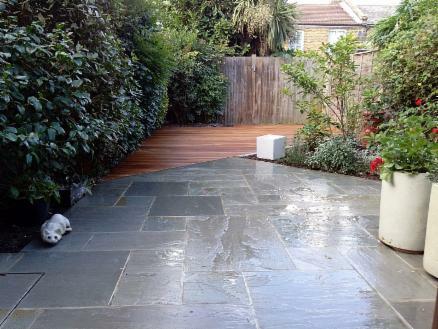 Welcome to Pimlico Paving, a London based landscaping company with an unparalleled reputation for the installation of a range of original stone products including Natural Stone Paving and Natural York Stone flags ideal for patios and paths. We source a wide range of high quality stone products from around the World offering the discerning customer a wide variety of choice. 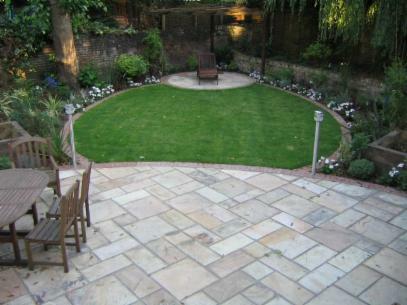 Our service includes all associated groundwork, drainage and brickwork. We offer a complete package including the supply of natural stone paving to the completion of your new driveway or patio. A beautiful new driveway, path, or patio makes such a difference to any home. 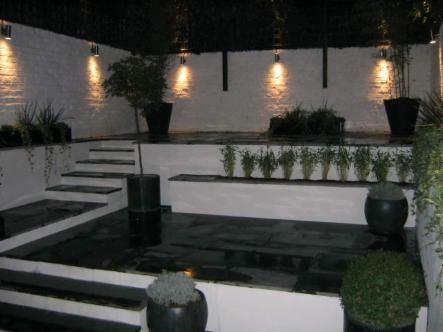 We offer a wide variety of paving styles to suit any property, be it modern, traditional or contemporary. We also provide a wide range of colour and design options from which you can select the most appropriate for your home. Wel offer advice on design, layout and all technical aspects of the installation. Weed free and low maintenance paving will not only make you life easier but will also add value to your property and enhance its appearance. 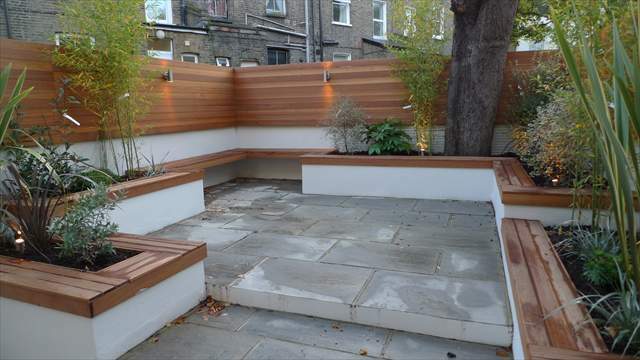 Grey Sandstone Paving with Raised Beds, Benches and Privacy Screens.